Coming off the critical success of the Cornetto Trilogy, Edgar Wright is back in the directors chair with his newest action film Baby Driver. His past films have established his talent for pushing the story forward with stylized edits and snappy dialogue. Films like Shaun of the Dead and Hot Fuzz riffed on the typical genre tropes which helped imprint them as original and entertaining. Wright’s newest isn’t as heavy on the comedy as his previous work though it manages to still feature moments of humor. 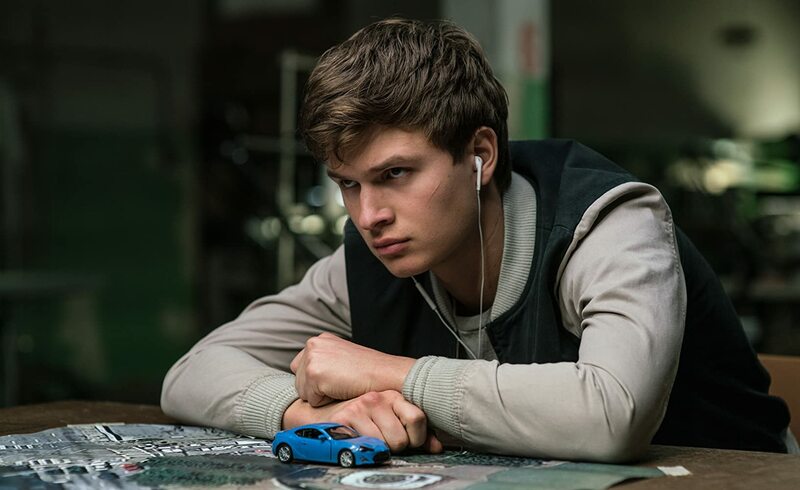 Though the film doesn’t break new ground in the action genre, Baby Driver should be recognized for its original story and how it is pieced together. The making of this film is an achievement on its own. From the start of the film we’re dropped in the middle of a high octane getaway. The car stunts are enthralling thanks to its practicality while the rapid editing helps to amplify the tension in the car. Towards the start of the film there is a one shot that any film lover will admire as Baby walks down the street, en route to a coffee shop. The syncing of the soundtrack with something as simple as a cup being placed on a table make the narrative upbeat and sleek. When matched up with the action, whether it be a car or gunfire, the soundtrack features a variety of catchy tunes that viewers will bob their heads to. Ansel Elgort plays the title role and he manages to give a nuanced performance. Though for the majority of the film he’s silent, he still manages to tell a story with his facial expressions. His quiet confidence makes him a likable guy that viewers can get behind. Traumatized by his troubled past, delving deeper into this story could have helped to show a more vulnerable Baby. Lily James plays Debora, Baby’s romantic interest. Her onscreen charisma helps to elevate her thinly written character that has little to do. Because the relationship between Baby and Debora isn’t fleshed out enough, James’ character comes off more as a plot device. Though the criminals are played by likeable actors, they aren’t given much to work with as they all have a specific character trait. They offer some great lines of dialogue and contribute to set pieces but who they are as characters is never explored. These ‘acquaintances’ are in the majority of the film which is surprising considering how little we know about them. Jon Hamm, Jamie Foxx, and Eiza Gonzalez are all good, we just wish there was more to love with their characters. Kevin Spacey is good as stern Kevin Spacey but we never learn anything about the criminal mastermind. Discovering more about Baby’s past involvement with Spacey’s Doc would have helped to up the ante, instead the viewer is left filling in the blanks. Baby Driver is by no means a step down for Edgar Wright, the film is more accessible to audiences as it tries to make an impact in a summer full of big budgeted blockbusters. The film has a great first act with some exhilarating action before it takes a nosedive at the beginning of the second act. It begins to suffer some pacing issues when we’re introduced to Doc and his crew of bank robbers. As stated above, we never learn anything about these characters and many of the scenes don’t carry any weight to them. Viewers chomping at the bit for more action will have to wait a while before they’re rewarded with another action scene. The finale seems underwhelming when compared to the full throttle first act. The final act is convoluted as they try to wrap everything up in a neat little bow with minimal explanation. 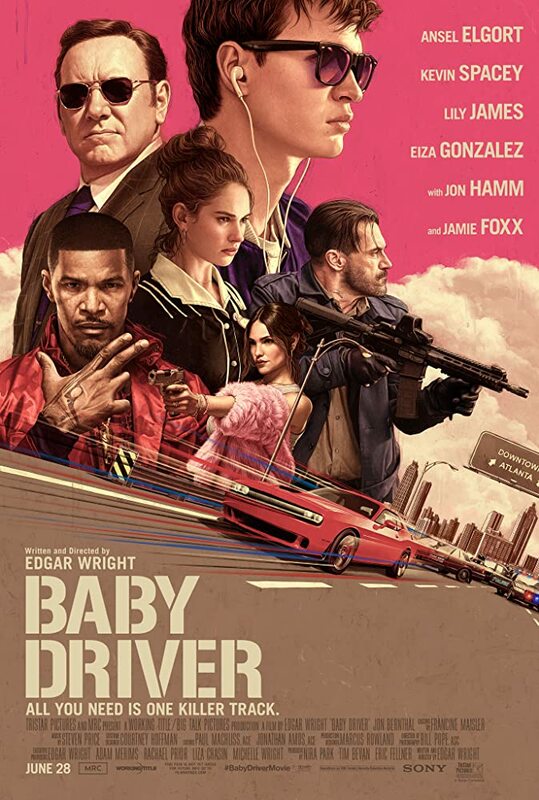 The first 20 minutes of Baby Driver are a breath of fresh air before its momentum starts to slowly roll down the hill. The ensemble is full of familiar faces that are clearly having a blast. Although the characters have little development, we can get behind Kevin Spacey shooting a shotgun. Despite some pacing issues and a conventional third act, Baby Driver is another notch in Edgar Wright’s belt as he seamlessly mixes the soundtrack to the story and turns it into an action-musical of sorts.